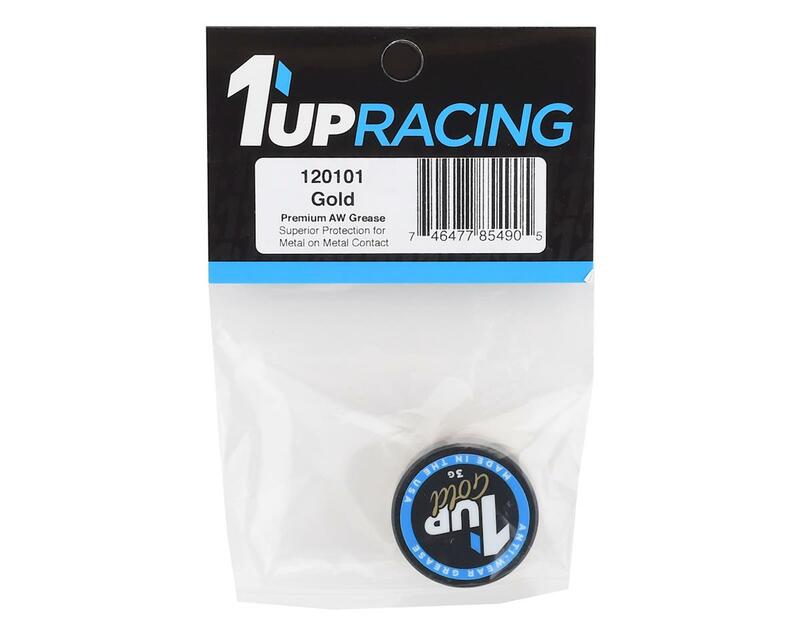 This is a 3 Gram container of 1UP Racing Gold Anti-Wear (AW) Grease. 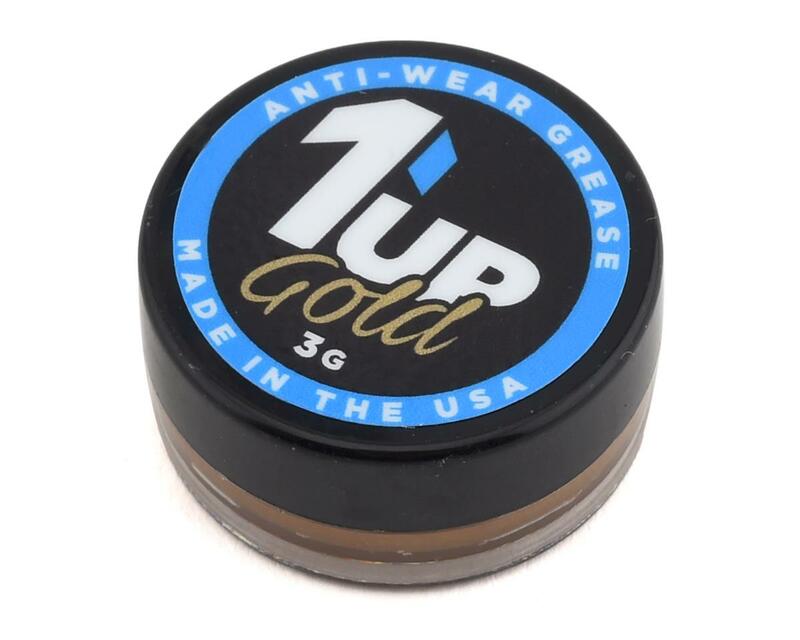 This anti-wear grease has a synthetic base lubricant that clings tenaciously to metal surfaces for increased life and smooth operation. Works extremely well on universals, dogbones and gears!